At Lattice we understand that not all parts of a review are treated equally. 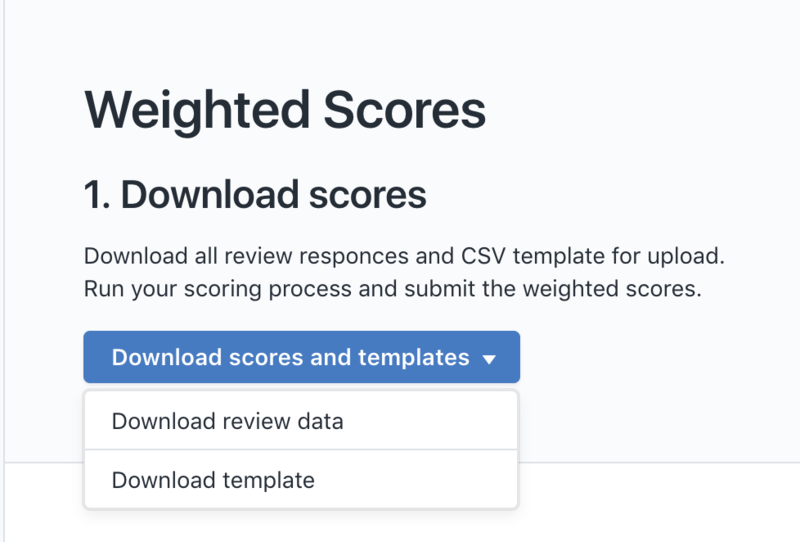 As a result, we have created weighted scoring to allow admins to export their review data, weight it offline in a CSV, and then import a final score for an employee. Step 2: On the left Administration panel, select "Reviews"
Step 3: Click on "Scores"
After the review cycle has ended, if you turned on weight scoring during set up, you will have a "Scoring" section in your Admin "Post Review" Process. To add weights to employee scores, click on the "Download Scores and Templates" button. The Review data will be an export of all information that was collected in the review cycle. The template will be what you upload back into Lattice to created your weighted score. As an admin, it will be up to you to determine how you want to weight each piece of the review cycle and how you want to calculate the final scores. After you have analyzed all of your review data, you will put you final weight score for each into the template and upload it back into Lattice. Employees' weight scores can be any number. This mean positive, negative, and decimals will be accepted into Lattice. After you have uploaded your scores, you will be able to see all of the employees' scores in the Scoring section of your review. After the weighted scores have been added to Lattice, you will be able to view them in the Scores section of your review cycle. 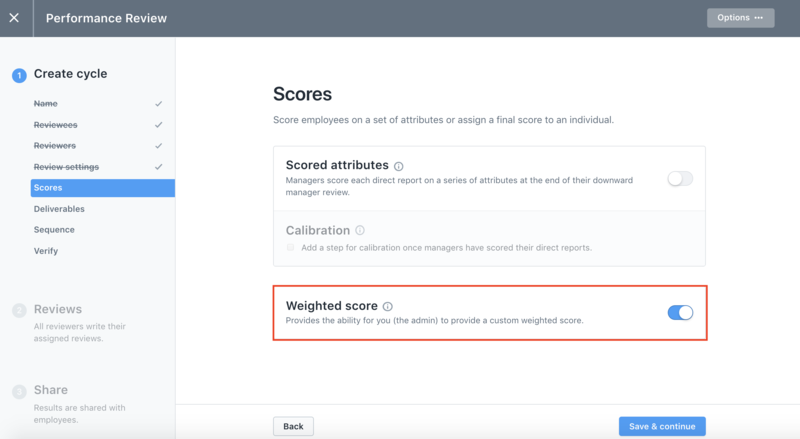 On this view you will see the employee's score and the number next to it will be the difference between the employee's score and the average score across the company.